Brodie R. Wilkinson, Sr. age 78 of Springfield passed away on Friday, October 5th at Tennova Healthcare in Clarksville. Mr. Wilkinson was born on April 7, 1940 to the late Clarence and Jo Ann Wilkinson in New Deal, Tennessee. Early in his life he met James & Sadie Long, a lovely couple who would become his adopted family and put him on the path to success. Mr. Wilkinson served in the United States Army and after being discharged, came home and married the love of his life Ms. Mavella Ann Hewgley in 1967. They settled down west of White House close to Sulphur Fork Creek and raised their only son, Brodie Jr.
Mr. Wilkinson was a man of many talents and had a head for business. 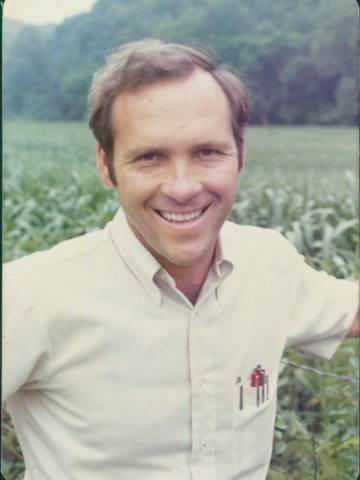 He and his brothers started Wilkinson Dairy & Feed Supply in Goodlettsville and after his brothers left the business, Mr. Wilkinson continued to make it prosper for many years. On the family farm, he raised some of the finest Santa Gertrudis cows in Robertson County. He also developed Brodie Hills Subdivision in Springfield and Emerald Cove Subdivision in Goodlettsville. One of the biggest accomplishments for Mr. Wilkinson was being able to work with his son and grandsons in their family businesses. Mr. Wilkinson will forever be remembered as a loving and amazing man. In addition to his parents, Mr. Wilkinson is preceded in death by his adopted parents, James and Sadie Long and his beloved wife of 48 years, Mavella Anne Wilkinson, and grandson, Brodie R. Wilkinson, III. He is survived by his son, Brodie R. (Olivia) Wilkinson, Jr., grandson, Layne Wilkinson, sister Susan (Timmy) Lee and brothers Ted (Gayle) Coleman, Wayne Wilkinson and Floyd Wilkinson. A Life Celebration will be held on Thursday at 2pm in the Chapel of Springfield Funeral Home. The family will receive friends on Wednesday from 4-8 pm then again on Thursday from noon until the time of service. Mr. Wilkinson will be laid to rest with his grandson, Brodie Wilkinson, III. 5 Comments to Mr. Brodie R. Wilkinson, Sr. They were a sweet couple .Then she got sick and they weren’t their as often.So Sorry to hear of his passing and the grandson too.My prayers are with Brodie Jr.an Olivia. So sorry to hear about your loss you and your family are in are thoughts and prayers! Thoughts and prayers for Brodie Jr, Olivia and Layne. Brodie was always very kind when I saw him. Sorry we won’t be able to pay our respects as we live out of state.